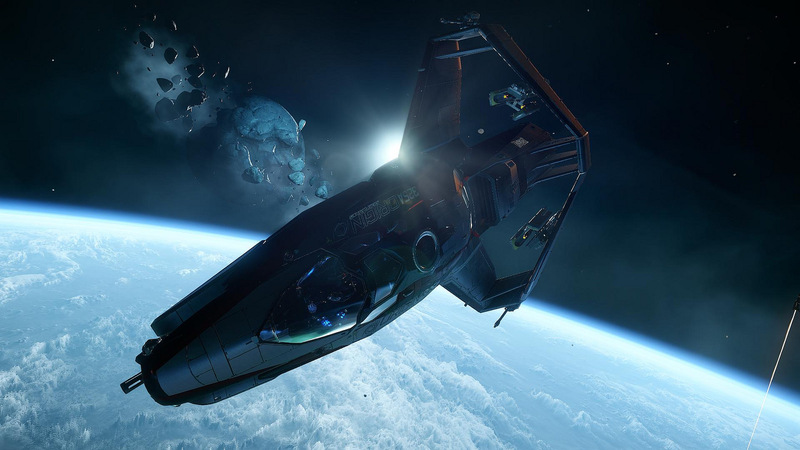 A section of the game is playable, as well as a number of ships such as the MISC Prospector, the Drake Dragonfly, the Aegis Avenger Titan, and the Drake Cutlass Black. In terms of the gameplay areas, you'll have a chance to try out some of what was added in the Alpha 3.2 update including multiplayer support for 50 people simultaneously. Also new to the game in Alpha 3.2 are more armor suits, a Kiosk system that lets you purchase items with in-game currency, and more weapons. You can see the full Alpha 3.2 patch notes here.